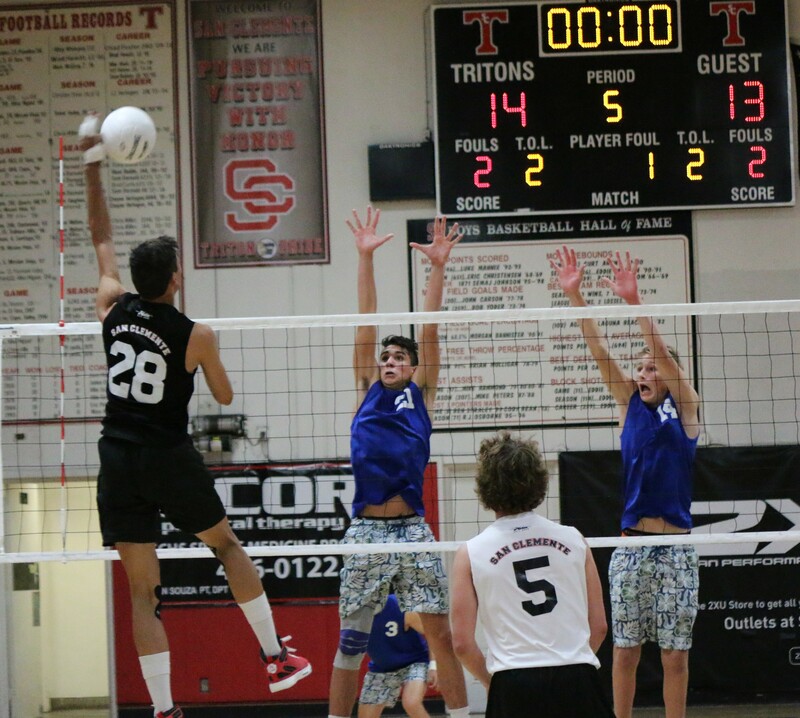 After battling back and forth with one another for the better part of two hours on March 29, the San Clemente and Dana Hills boys volleyball teams saved their best exchanges of the night for the final three match-deciding points. San Clemente took a 14-12 lead in the fifth set after a kill at the net by senior Keenan Cleaver ended an extended back-and-forth rally. A Triton net violation brought Dana Hills back to within one point at 14-13, but San Clemente sealed the five-set win when Cleaver and junior Jess Hunt ended yet another long rally with a tandem block. Once their block hit the ground, Cleaver and Hunt followed suit. Both players fell to the ground at center court with arms outstretched in celebration as their teammates rushed toward them. 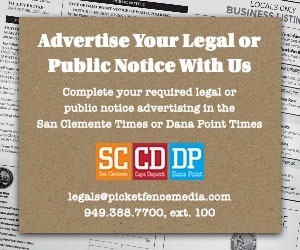 San Clemente defeated the Dolphins 21-25, 25-23, 25-19, 21-25, 15-13. Dana Hills (16-8, 0-3 league) won the first set behind the effort of senior outside hitters Jake Freeman and Grady Yould. The two combined for 11 kills in the first. San Clemente (14-7, 2-1) found its footing in the second and third sets, and challenged Yould and Freeman more effectively at the net. Junior Kyler Presho led the Tritons with five blocks and senior Aaron Strange, who was tasked with matching up with Yould, recorded four blocks. San Clemente went on an 8-4 run to close out the third. San Clemente appeared to have the fifth set put away after jumping out to a 6-1 lead, but Dana Hills responded with an 8-2 run to take a 9-8 lead, setting the stage for the wild finish. Hunt led the Tritons with 17 kills, Bryce Curtis had 14 and Presho had 11. Sean Carroll recorded 40 digs. Yould had a game-high 23 kills and Freeman chipped in 15 for the Dolphins.